The Music of Bhutan Research Centre (MBRC) was founded in 2008 by renowned musician Kheng Sonam Dorji to document, preserve, and promote the traditional music of Bhutan. Under Sonam’s leadership, MBRC aims to break new ground by professionally researching, recording and archiving the many musical traditions of the country’s diverse regional, linguistic and ethnic groups, and by documenting the finest living master musicians in performance and interviews. As the inaugural project, MBRC recorded songs, dances, and interviews with acclaimed singer Aum Nimchu Pem at her home in Sengbji, Trongsa, in October 2008. Since then MBRC has archived over 170 musical elders; staged an historic reunion of master singers and dancers from the 1960s royal court; produced the first book profiling Bhutanese musicians; documented village music traditions throughout the country, and initiated several public programs. Please read about our research areas! In 2009 MBRC established a small archive in Thimphu to house tapes and transcripts from field sessions. The archive also houses historical artifacts, such as dance costumes and musical instruments, and includes audio/video editing studios. In 2012 MBRC received coveted Civil Society Organization status from the government of Bhutan. On National Day, December 17, 2016, MBRC received the high honor of the Gold National Order of Merit from the Fifth King of Bhutan, His Majesty Jigme Khesar Namgyel Wangchuck. MBRC develops compact discs, books, and videos based on fieldwork projects as resources permit. MBRC values collaboration and welcomes partnerships with other cultural organizations and institutions that also share an interest in traditional Bhutanese music. MBRC is honored to be one of the select organizational partners of the Bhutan Foundation under the category of Cultural Preservation. 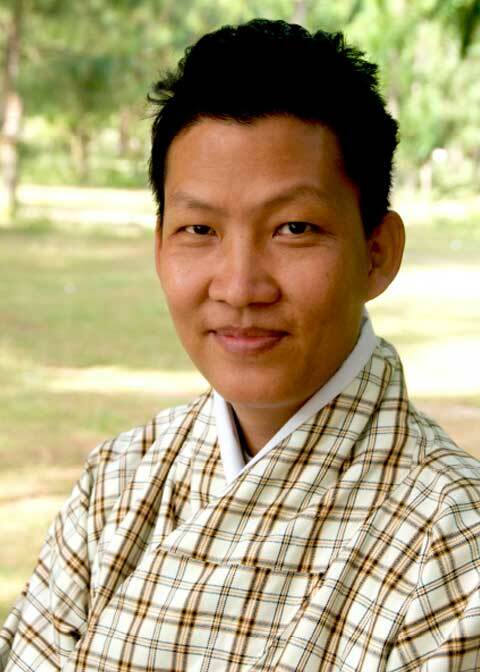 Dorji is a master musician, vocalist, and composer who plays several instruments native to Bhutan and India. Originally from the village of Kaktong, Zhemgang district, Mr. Dorji moved to Thimphu as a child and studied drangyen under the primary elders of Bhutanese folk tradition, including Dasho Aku Tongmi and Ap Dawpey. At 15 he began composing his own songs and he soon gained fame on national radio. After high school he spent ten years in India studying Indian music and graduated first in his class in the master’s degree music program at Maharaja Sayajirao University of Baroda. He also released a string of well-received lu-saar albums and composed the first-ever nationally broadcast song in Khengpa, his native language, which earned him the name “Kheng” Sonam Dorji. International audiences know Sonam Dorji through his soundtrack contributions to the acclaimed Bhutanese film, Travellers and Magicians (2004), his 2014 CD release, [Music from the Mountains of Bhutan] on Smithsonian Folkways, and his appearances at the Smithsonian Folklife Festival in Washington, D.C. (2008) and in the pan-Asian ensemble led by Arun Ghosh at the London BT River of Music Festival for the Summer Olympic Games (2012). As Director of MBRC Mr. Dorji identifies research topics, plans and oversees all projects, and manages field crews and archives staff. He brings to bear not only his deep musical knowledge and skill, but also his firsthand experience of Bhutanese ethnic and regional diversity, his facility in nine languages of the region, his background as intercultural interperter, and his longstanding relationships with key tradition bearers. He has led documenting expeditions to Paro, Thimphu, Dagana, Punakha, Trongsa, Bumthang, Kheng Zhemgang, Mongar, Tashigang and Lhuntse. In the United States a non-profit 501(c)3 support arm of MBRC operates out of Santa Cruz, California.